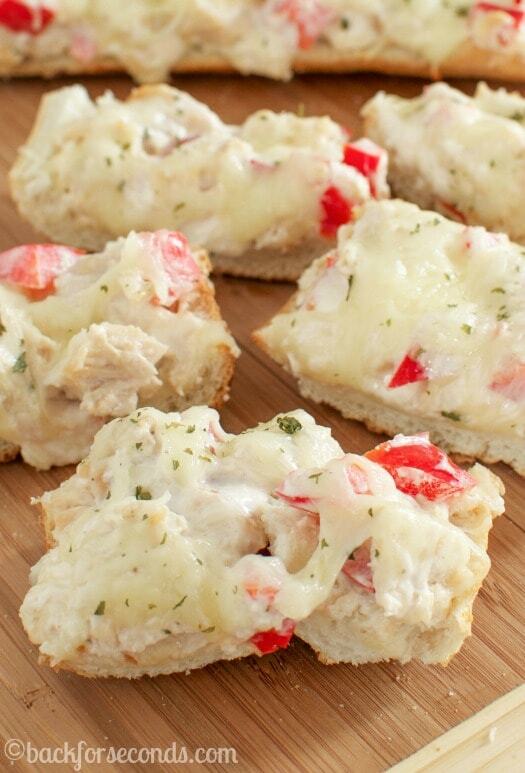 Cheesy Chicken Bread is the yummiest appetizer or easy meal! 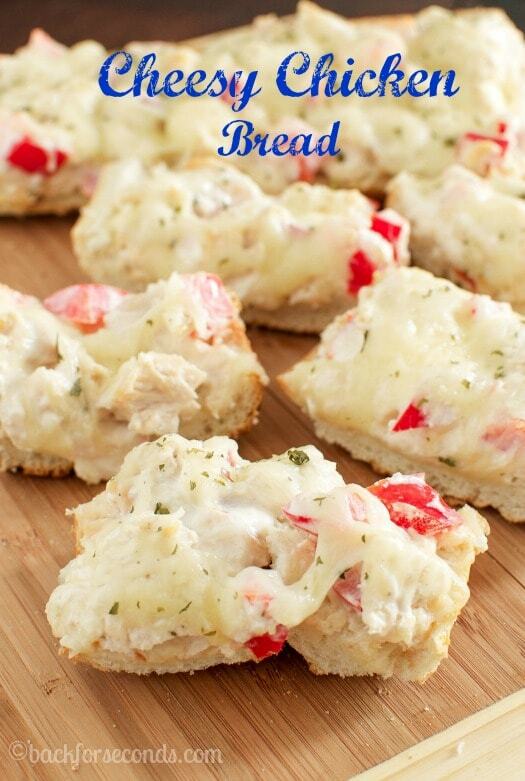 Crusty Italian bread stuffed with creamy, cheesy, chicken made healthier with Greek yogurt! This is one of my favorite recipes that I’ve made in a long time. The ingredients are simple – you probably have most of them in your kitchen already, and the outcome is simply scrumptious! I was super excited when I was approached to share about the Food Network’s Chopped at Home Contest and have a go at it myself! Do you watch that show? I was just glad they didn’t ask me too cook with pig’s feet or some kind of stinky, creepy ingredient I’d never heard of before. 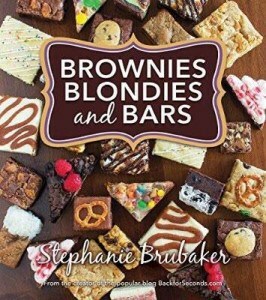 Instead the challenge included some of my favorite ingredients! Yay! The winner of this Chopped at Home Contest will win $10,000!! 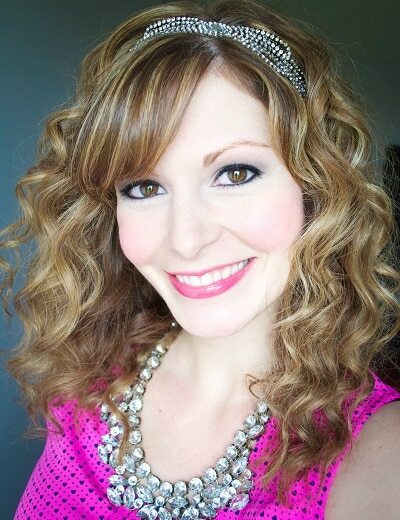 I hope you enter – I’d love if one of my readers was the winner! Can we just talk a second about this cheese? Sargento® Chef Blends™ Shredded 6 Cheese Italian is a combination of Mozzarella, Provolone, Parmesan and Fontina, plus Romano and aged Asiago. I was eating it by the handfuls while making this Cheesy Chicken Bread. It’s seriously yummy and I want to sprinkle it on all the things! 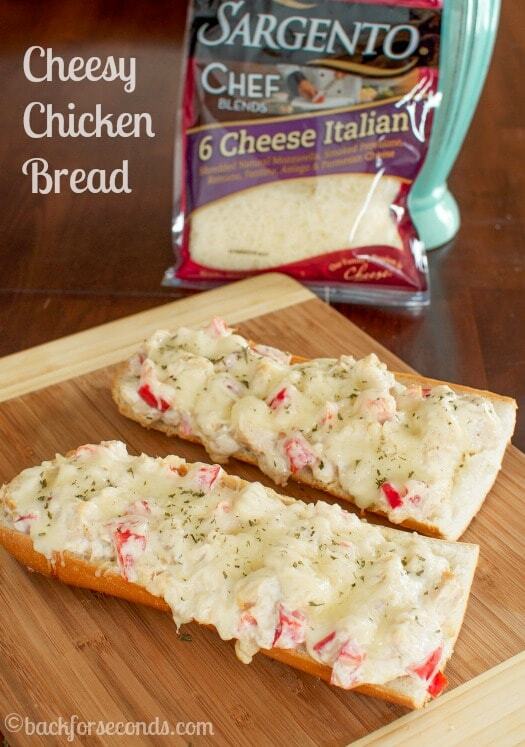 The crusty Italian bread is the perfect carrier for the creamy, cheesy, chicken topping. This was my lunch a couple days in a row and I am making it again soon! My husband kept saying “this is really good!” so I know it’s a winner! What would you make with these ingredients for the Chopped at Home Contest? This bread looks amazing! Love how it looks soo cheesy and crusty and delicious. Yes to cheese bread in any form! 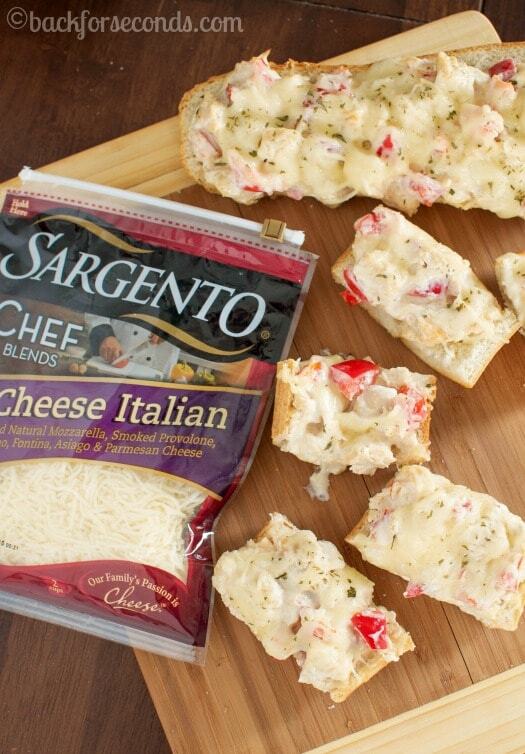 Sargento’s Italian blend is my favorite for topping pizza.